Preparing a cover letter for a job application requires a lot of thought and can more than often be the ticket to a successful job application. By now you should have your cv ready with a very clear and impactful profile. The next stage is to write a cover letter which allows you to show your DNA and match your skills and background to the requirements of the role you are applying to. It should be concise, clear and the words you to choose to describe yourself should be relevant. We’ve been recruiting for some amazing clients within the broadcast / tv industry, within media and marketing consultancies, market research, insight, analysis, for international organizations and professional services firms including investment banks. One thing that our clients tell us is that the London job market is extremely competitive and a good cover letter brings your profile to life. This might be the last opportunity to secure that interview and make your application stand out from the crowd. 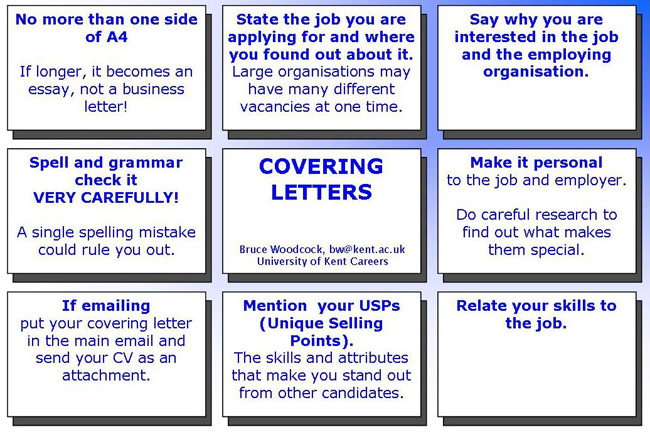 A cover letter should explain the reasons for applying to the job, and explain the current circumstances which have led you to apply for a new role. Relevant work experience, for example working with a specific industry sector, or working on a certain type of project, should be discussed, including any particular achievements and successes. In addition, the cover letter should explain any anomalies, any major gaps or even a change in career direction, and in the latter circumstance there should be evidence to explain the reasons for this change and the attraction to the new career. This is also an opportunity to show what you know about the client, the industry, the job and to highlight why you feel you match the client perfectly, what you could bring to the table and why you would be a successful hire for their business. Your recruitment consultant should be able to help you with this, and explain to you what is most important and relevant to your job search. Sometimes this isn’t always clear and from experience, if we are not sure about a candidates commitment at boyce, we will ask them to make a note of why they are specifically interested in that sector and how they match the requirements. This is also a good prep for interview as it is always best to consider all of the above when applying for a new job.